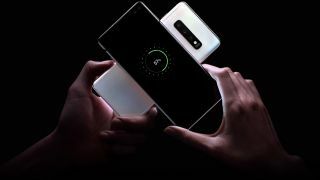 Samsung has so far impressed many with its new Galaxy S10 lineup's headline features, which among them include upgraded photographic capabilities and reverse wireless charging functionality. Of course, there's always room for improvement, which is why Samsung is currently rolling out some fixes for the aforementioned features as part of the Galaxy S10's March security update. As reported by GSMArena, the March update will bring about improved camera stability, improved performance for its Wireless PowerShare feature and a number of other bug fixes and improvements. At present, it's unknown just what the Wireless PowerShare improvements entail, though it certainly wouldn't hurt to make charging slightly faster and more immediately responsive. The update, which is specifically for Samsung's Galaxy S10, Galaxy S10 Plus and Galaxy S10e, has reportedly arrived for users in the UK and Germany – to see if it's available for your phone, go to the Software Update section in the device's Settings.